What are the long-term aims of drug policy in Slovakia? How are these aims to be achieved? How is drug policy coordinated at national level? What substances and activities does Slovakia control under its drug laws? What are the penalties for offences? How are new psychoactive substances controlled? How many people in Slovakia have ever used drugs? What drugs have they used? How many have used drugs recently? How many are using drugs in highly risky ways? What are the main infectious diseases linked to drug injecting in Slovakia? How many died of drug overdose in the last year? How many drug-related medical emergencies occurred? What part does prevention play in Slovakia's drug strategy. What are the main prevention approaches used in the country and who do they target? How does Slovakia measure in terms of provision of needle and syringe programmes, peer naloxone programmes, supervised drug consumption rooms and heroin-assisted treatment. How is the drug treatment system organised in Slovakia? How is it financed? How is the provision of treatment divided between inpatient and outpatient settings? Which authorities are responsible for prison health in Slovakia? What forms of drug treatment and harm reduction are provided in prisons, and how widely? What is done in Slovakia to ensure that the prevention and treatment interventions used are effective and provide a good return on public expenditure? In which areas of study is drug-related research carried out in Slovakia? How is this research funded? Are any types of research emphasised in the national drug strategy? What is known about drug supply and trafficking in Slovakia? How pure or strong are the drugs available? What do they cost? What are the main aims of supply reduction efforts? This report presents the top-level overview of the drug phenomenon in Slovakia, covering drug supply, use and public health problems as well as drug policy and responses. 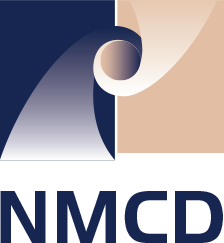 The statistical data reported relate to 2016 (or most recent year) and are provided to the EMCDDA by the national focal point, unless stated otherwise. The national focal point is located within the Department of Drug Strategy Coordination and Monitoring of Drugs, which is based within the Ministry of Health. Under the responsibility of the Health Ministry’s State Secretary, the Department functions as an executive body/secretariat of the Government Council for Drug Policy and oversees the coordination and implementation of the national drugs strategy. The Department’s Director is also the Secretary of the Council and ex officio National Drug Coordinator. The department consists of two sections. The National Drugs Strategy section is tasked with national coordination and implementation of the National Anti-Drugs Strategy. It also contains a unit dealing with institutional and international relations and information transfers related to drug issues. The National Monitoring Centre for Drugs section functions as Slovakia’s national focal point to the EMCDDA. It is responsible for monitoring of the drug situation and managing national drug information systems.